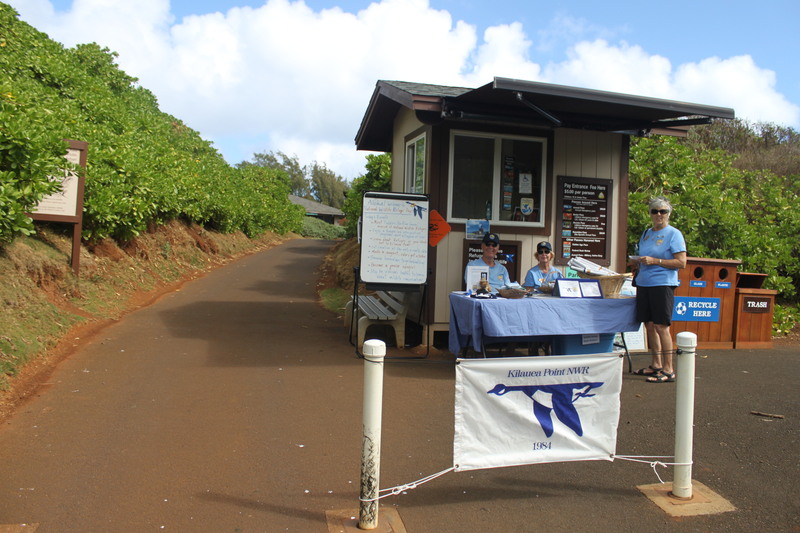 October 14-20 is National Wildlife Refuge Week in the U.S and, to celebrate the first day, Kilauea Point NWR held another fee-free day on Sunday. For anyone reading this who is local, there are many other interesting events planned for the week, including hikes to areas that are rarely open to the public. Check out the activities here. The Refuge has kindly organized separate sessions, for volunteers only, for us to enjoy two of the guided hikes (Hule’ia to the south of the island, and Crater Hill which overlooks Kilauea Point). I haven’t yet had the opportunity to explore either, so I’m very much looking forward to both, on Tuesday and Friday. Similar to the recently Nene Awareness Day, Sunday provided plenty of activities for the young-in-age and young-at-heart, as well as another appearance by Puddles the NWR Mascot. The oldest of our (visible) Wedge-tailed Shearwater chicks made a special effort to welcome the visitors by venturing out from the comfort of its nest behind a tree. He (or she) is changing daily now, losing its grey fluff-ball appearance and gaining its flight (wing and tail) feathers, ready for fledging around mid-late November. It was a beautifully sunny day at the Point, which encouraged a good number of visitors early in the day. After the recent lack of rain and trade winds, we had had a welcome dump of rain overnight, which freshened the ground and the atmosphere. The sea was once again a pristine turquoise in the bay, and a pod of spinner dolphin made an appearance, to the delight of the crowd! 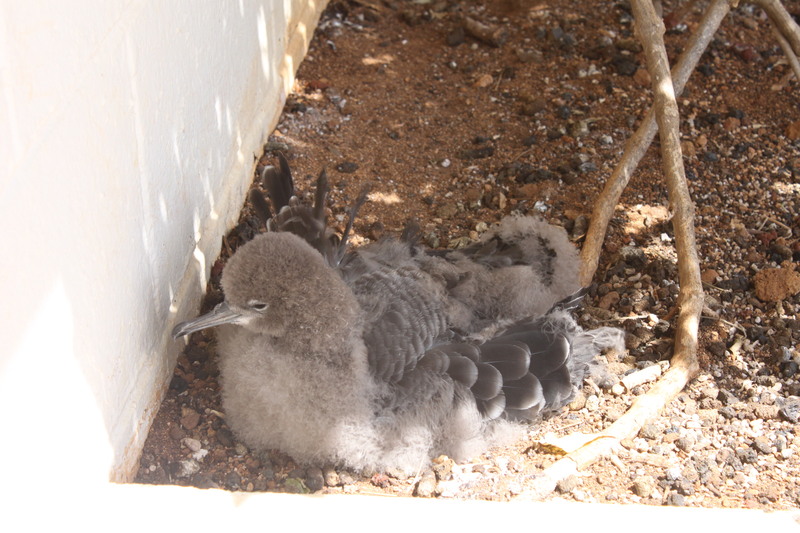 This entry was posted in Flora & fauna, Kauai, Kilauea Point and tagged Crater Hill, Hule'ia, KPNWR, spinner dolphin, wedge-tailed shearwater by kauaigreenhorn. Bookmark the permalink.